We're turning one! 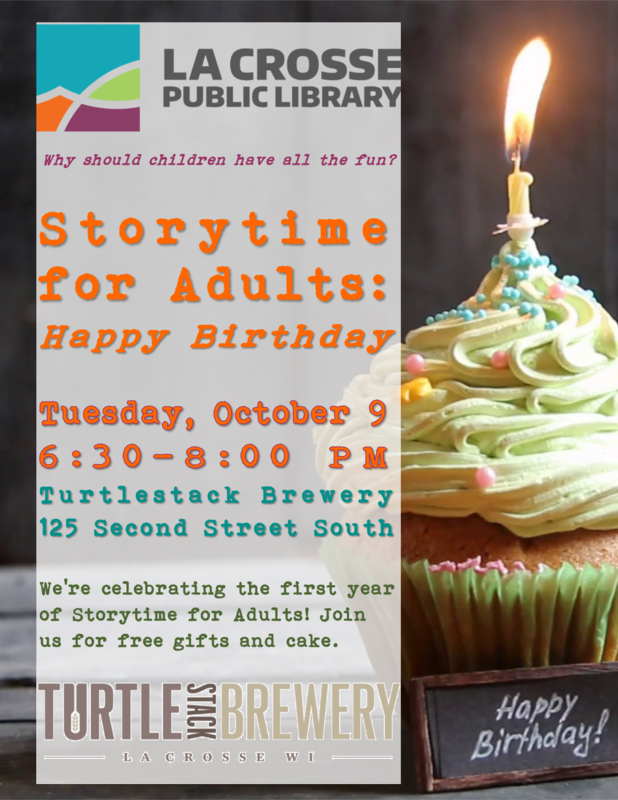 Join us for the October edition of Storytime for Adults at the Turtle Stack Brewery to celebrate with free gifts, cake, and new and favorite adult-oriented stories read aloud by your favorite local librarians and performers. The Cloudy's Food Truck will be parked out front of the Turtle Stack Brewery to sell food that evening starting at 5 PM. Come early for dinner and drinks. Turtle Stack will be opening right at 5 PM. Purchase food from Cloudy's and bring it inside to your table. Stories start right at 6:30 PM. Be sure to check out the Cloudy's Facebook page for weekly menu and specials.